A Tennessee judge has taken the questionable logic of drug courts to a ridiculous and punitive extreme by jailing drug court participants for having smoked cigarettes. That's right, Hamilton County Drug Court Judge Tom Greenholtz has taken it upon himself to punish people under his supervision for using a legal substance because he thinks doing so would give them "a better chance at life." Earlier this month, he jailed "a handful" of drug court participants who came up positive for nicotine in court-mandated drug tests. "We routinely test for nicotine as we do for other controlled substances," Greenholtz told Chattanooga TV station Newschannel 9, blithely ignoring the fact that nicotine is not a controlled substance under either state or federal law and that cigarette smoking is not a crime. As for throwing hapless drug court victims in jail for violating his arbitrary edict: "It shows how serious we are about combatting this," he said. Drug courts first appeared in the 1990s as a response to the overflowing jails and prisons generated by the war on drugs and were designed to keep drug users out of prison by subjecting them to intense judicial oversight replete with jail cell punishments for people who relapsed while under supervision. But from the beginning, while prosecutors and drug court judges give lip service to the widely accepted idea that drug addiction is a chronic, relapsing medical condition, the drug court model punishes people for suffering that medical condition. And now, Judge Greenholtz has taken that paradox to a whole new level. Now he is punishing people who may indeed be physically addicted to nicotine even though using or possessing nicotine is not a crime. That's what can happen when you let judges pretend they are doctors. As a means of dealing with drug-addicted people, drug courts are humane only in comparison with imprisonment. The vast majority of drug court participants are there solely because they got caught using or possessing drugs. In an enlightened society, we would either offer them assistance if they desire it or just leave them alone (not arrest them in the first place) absent harm to themselves or others. Instead, with drug courts, we subject them to intense judicial scrutiny and punish them for relapsing. Drug courts have spread across the country, yet available research does not support their continued expansion. Most drug courts do not reduce imprisonment, do not save money or improve public safety, and fail to help those struggling with drug problems. The drug court model must be corrected to play a more effective role in improving the well-being of people involved in the criminal justice system who suffer substance misuse problems -- while preserving scarce public safety resources. Throwing people in jail for smoking does not appear to be "improving the well-being of people involved in the criminal justice system" or "preserving scarce public safety resources." There is some scientific research suggesting that people who quit smoking cigarettes do better in recovering from drug dependency, but that research finds only small differences. That study found a mere 3% difference in recovery rates between people who had quit smoking and those who hadn't. And the people in the study who had quit smoking had done so voluntarily -- not under threat of imprisonment. People who had actually participated in the Hamilton County Drug Court had a different take. Paula Brazzell told Newschannel 9 she had been addicted to pain pills for years, it took her several attempts to get clean, and that cigarettes helped. "I think so, yeah," she said. "It calmed me down." One of Brazzell's friends was part of that group that Judge Greenholtz jailed for smoking this month. Brazzell couldn't believe it. "You're taking up those cells, paid for by taxpayer dollars to put somebody in jail for failing a nicotine test? I mean come on," she said. 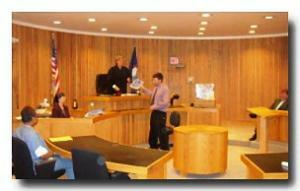 Drug courts are a very blunt tool with which to address drug dependency. They become even more questionable when used as social engineering to punish people who aren't committing any crime other than a social faux pas by smoking. One means of judging the competing presidential candidates is to examine their actual policy prescriptions for dealing with serious issues facing the country. When it comes to drug policy, the contrasts between Hillary Clinton and Donald Trump couldn't be more telling. The country is in the midst of what can fairly be called an opioid crisis, with the CDC reporting 78 Americans dying every day from heroin and prescription opioid overdoses. Both candidates have addressed the problem on the campaign trail, but, as is the case in so many other policy areas, one candidate has detailed proposals, while the other offers demagogic sloganeering. Hillary Clinton has offered a detailed $10 billion plan to deal with what she called the "quiet epidemic" of opioid addiction. 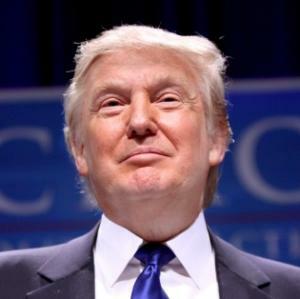 Donald Trump's plan consists largely of "build the wall." That was the centerpiece of his October 15 speech in New Hampshire where he offered his clearest drug policy prescriptions yet (though it was overshadowed by his weird demand that Hillary Clinton undergo a drug test). To be fair, since then, Trump has also called for expanding law enforcement and treatment programs, but he has offered no specifics or cost estimates. And the centerpiece of his approach remains interdiction, which dovetails nicely with his nativist immigration positions. "A Trump administration will secure and defend our borders," he said in that speech. "A wall will not only keep out dangerous cartels and criminals, but it will also keep out the drugs and heroin poisoning our youth." Trump did not address the failure of 40 years of ever-increasing border security and interdiction policies to stop the flow of drugs up until now, nor did he explain what would prevent a 50-foot wall from being met with a 51-foot ladder. Trump's drug policy also takes aim at a favorite target of conservatives: so-called sanctuary cities, where local officials refuse to cooperate in harsh federal deportation policies. "We are also going to put an end to sanctuary cities, which refuse to turn over illegal immigrant drug traffickers for deportation," he said. "We will dismantle the illegal immigrant cartels and violent gangs, and we will send them swiftly out of our country." In contrast, Clinton's detailed proposal calls for increased federal spending for prevention, treatment and recovery, first responders, prescribers, and criminal justice reform. The Clinton plan would send $7.5 billion to the states over 10 years, matching every dollar they spend on such programs with four federal dollars. 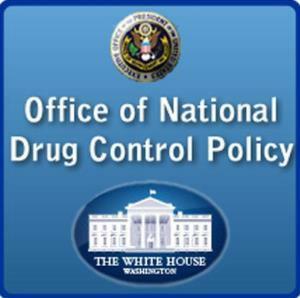 Another $2.5 billion would be designated for the federal Substance Abuse Prevention and Treatment Block Grant program. While Trump advocates increased border and law enforcement, including a return to now widely discredited mandatory minimum sentencing for drug offenders, Clinton does not include funding for drug enforcement and interdiction efforts in her proposal. Such funding would presumably come through normal appropriations channels. 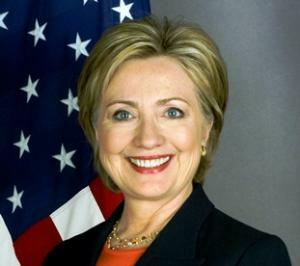 Instead of a criminal justice crackdown, Clinton vows that her attorney general will issue guidance to the states urging them to emphasize treatment over incarceration for low-level drug offenders. She also supports alternatives to incarceration such as drug courts (as does Trump). But unlike Trump, Clinton makes no call for increased penalties for drug offenders. Trump provides lip service to prevention, treatment and recovery, but his rhetorical emphasis illuminates his drug policy priorities: more walls, more law enforcement, more drug war prisoners. There is one area of drug policy where both candidates are largely in agreement, and that is marijuana policy. Both Clinton and Trump have embraced medical marijuana, both say they are inclined to let the states experiment with legalization, but neither has called for marijuana legalization or the repeal of federal pot prohibition. If Clinton's drug policies can be said to be a continuation of Obama's, Trump's drug policies are more similar to a return to Nixon's. A Massachusetts poll has the marijuana legalization initiative losing, a New Hampshire poll shows record support for legalization, Florida's first dispensary gets the okay to open, Illinois protects drug court participants' opioid treatment access, and more. Massachusetts Poll Has Legalization Initiative Losing, But… A new poll from Gravis Marketing has 51% opposed to the legalization initiative sponsored by the Campaign to Regulate Marijuana Like Alcohol, with only 41% saying they would vote for it. The poll was commissioned by a conservative political action committee called Jobs First, and Gravis used "instant voice recognition" to conduct the survey. Gravis said the poll's margin of error was +/- 3.3%. New Hampshire Poll Has Record Support for Legalization. A whopping 61% of respondents said they supported legalizing small amounts of marijuana in a new WMUR Granite State poll. The strong support for freeing the weed comes as even as 43% of respondents named illegal drug use as the most important problem facing the state. Illegal drug use has been cited as the state's top problem in every WMUR since October 2015. Florida's First Dispensary Gets Okay to Open. The state Department of Health Wednesday granted a formal Authorization to Process and Authorization to Dispense to the Trulieve dispensary in Tallahassee. The shop will begin selling low-THC marijuana products beginning immediately, with high-THC products available early next month. Illinois Governor Signs Bill to Protect Drug Court Participant Opioid Treatment Access. Gov. Bruce Rauner (R) last week signed into law a bill that will prevent drug court judges from barring participants from using medications doctors prescribe to treat opiate addiction. 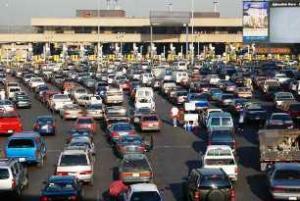 The measure will go into effect January 1. Marijuana business license applications are now available online in Oregon, Illinois medical marijuana sales go past a million dollars, Jeb Bush rolls out a drug policy platform, and more. 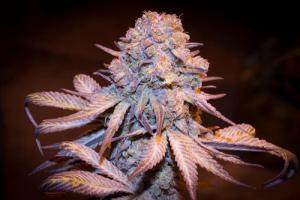 Oregon Marijuana Business License Applications Now Available Online. The state Liquor Control Commission today opened the state's online application system for marijuana licenses. 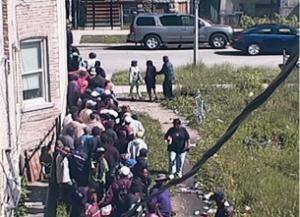 The state expects hundreds of people to apply for licenses to grow, process, and sell pot. The agency had originally planned for a call center with staff and policy experts to be open today, but a winter storm resulted instead in state buildings being closed today. Illinois Medical Marijuana Sales at Nearly $1.7 Million in Less Than Two Months. Sales began on November 9 and totaled nearly $1.7 million by year's end. The state said 2,815 patients had been served. The state has collected about $107,000 in taxes so far. Indiana CBD for Kids Bill Filed. Senate Agriculture Committee Chair Jean Leising (R-Oldenburg) has filed Senate Bill 72, which would grant immunity from prosecution to doctors conducting trials on the medical efficacy of cannabidiol (CBD). The bill has already been approved by an interim committee and is expected to have good prospects of passage. 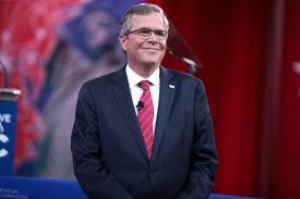 Jeb Bush Rolls Out Drug Policy Platform. The GOP presidential contender today released a drug control platform that calls for increased efforts at prevention, "strengthening criminal justice" (by giving the feds "the resources they need to tackle illicit drug pipelines and supply chains," increasing sentences for high-level drug traffickers, but reducing them for low-level offenders; and increasing the use of drug courts), "securing the border," and promoting treatment and recovery programs. Missouri Bill Would Criminalize Drug Use By Pregnant Women. Rep. Jared Taylor (R-Nixa) has filed House Bill 1903, which would make it a crime for a woman to use drugs while pregnant. Taylor said the bill is designed to get women into drug treatment, but reproductive rights activists said it could drive them away from seeking health care. The bill would make it a misdemeanor for a woman to use drugs is she "reasonably should have known she was pregnant" and a felony charge of "abuse of an unborn child" if the fetus died before birth. Taylor filed a similar bill last year; it won a committee vote, but never got a full House floor vote. Argentina's New Rightist President Vows More Drug War. President Mauricio Macri today vowed to crack down on drug trafficking as the country is mesmerized by the December 26 escape of three prisoners convicted in drug-related killings. "We are committed. We will not look away. We are going to take this on with all our strength," Macri said, blaming his predecessor, Kristina Kirchner. "We all know that, unfortunately, (drug trafficking) has increased more than ever in our country because of inaction, incompetency or complicity of the previous government," he said. Half of Oregon's dispensaries will start selling marijuana to any adult beginning this week, the FDA fires back at critics of its pediatric prescribing rules for Oxycontin, a prominent UN official lists the ways the drug "problem" impacts human rights, and more. Florida Legalization Bill Filed. Rep. Michelle Rehwinke Vasilinda (D-Tallahassee) has introduced a bill to legalize marijuana. The measure is House Bill 4021. This is the second time she has filed the bill. Oregon Dispensaries to Start Selling to Recreational Users This Week. More than half of the state's 345 medical marijuana dispensaries have told the Health Authority they plan to sell recreational marijuana starting Thursday, October 1. Recreational marijuana has been legal in the state since July 1, but recreational pot shops won't be open until next year, so the state is allowing dispensaries to fill the void. Maryland Now Taking Applications for Medical Marijuana Businesses. As of Monday, the Maryland Medical Cannabis Commission is accepting applications for state licenses for growers, processors, and dispensaries. The commission will issue 15 licenses for growers, up to 92 for dispensaries, and an unlimited number for processors. The deadline for applications is November 6, and dispensaries could be stocked and open by next fall. Click on the commission link for more details. 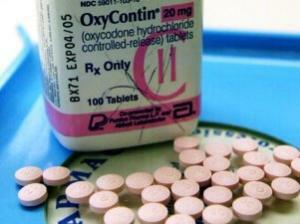 FDA Rejects Critics on Oxycontin for Youth. In response to critics including US senators, the Food and Drug Administration (FDA) has defended its decision last month to allow the prescribing of the powerful opioid to pediatric patients. Critics accused the agency of expanding access to the drug, but the FDA said doctors could already prescribe Oxycontin to pediatric patients and the agency was merely setting prescribing standards. "It's important to stress that this approval was not intended to expand or otherwise change the pattern of use of extended-release opioids in pediatric patients," said FDA spokesman Eric Pahon said in a statement. "Doctors were already prescribing it to children, without the safety and efficacy data in hand with regard to the pediatric population." UN Official Says Drug "Problem" Violates Human Rights in Five Areas. UN Deputy Commissioner for Human Rights Flavia Pansieri said Monday that the global drug "problem" violates human rights in the areas of the right to health, rights relating to criminal justice and discrimination, the rights of the child, and the rights of indigenous peoples. "It is clear that the world's drug problem impacts the enjoyment of a wide range of human rights, often resulting in serious violations," said Pansieri, "It is, nevertheless, a positive development that human rights are increasingly being taken into account in the preparations for the General Assembly's Special Session on the world drug problem to be held in April 2016." The remarks came during her report to the High Commissioner on Human Rights. New York Governor Signs Bill to Expand Opiate Maintenance in Drug Courts. Gov. Andrew Cuomo (D) last Friday signed into law Senate Bill 4239, which prohibits drug court judges from forcing defendants to withdraw from opiate maintenance treatments as a condition of avoiding prison. Click on the title link for more details. New Zealand Activists Call for Party Pill Drug Testing. The New Zealand Drug Foundation is calling on the government to legalize pill testing services. Foundation Executive Director Ross Bell said it was only a matter of time until someone died taking pills of unknown provenance. He added that the government routinely tests drugs for criminal justice purposes, and that those results should be made available as a public health measure. The government said it hadn't considered pill testing, but was open to the possibility in the future. Faced with a public health crisis related to heroin and prescription opioid use, the Illinois state government created a bipartisan Heroin Task Force in a comprehensive effort to address the problem from all angles. The task force created a set of policy recommendations that were embodied in House Bill 1, the Heroin Crisis Act. The bill passed the House and Senate in May, and was sent to Gov. Bruce Rauner (R) in June, where it sat on his desk until this week. On Monday, Rauner finally acted -- not by signing the bill, but by vetoing critical sections of it that he says the state cannot afford. He has now sent the bill back to the legislature and asked it to remove the offending sections. But saying, "People are dying," the measure's House sponsor, Rep. Lou Lang (D-Skokie), has vowed an effort to override the veto. An override could be within reach -- the bill passed by veto-proof majorities in both houses -- but for members of a governor's own party, a veto override is a hard vote to take. It increases the availability of opiate overdose reversal drugs and requires private insurance to cover at least one of them, as well as acute treatment and stabilization services. It allows licensed pharmacists to dispense overdose reversal drugs, allows school nurses to administer them to students suffering from overdoses, and provides protection from civil liability for people who administer them in good faith. It requires the Department of Human Services and the State Board of Education to develop a three-year pilot heroin prevention program for all schools in the state, requires the Department of Human Services to develop materials to educate prescription opiate users on the dangers of those drugs, and it requires the Department of Insurance to convene working groups on drug treatment and mental illness and on parity between state and federal mental health laws. It intensifies the state's prescription monitoring program by tightening reporting requirements and it requires doctors to now document the medical necessity of any three sequential 30-day prescriptions for Schedule II opioids. On the criminal justice front, it permits multiple chances at drug court and prevents prosecutors from unilaterally blocking entry to drug court, and it requires prosecutors and public defenders to undergo mandatory education on addiction and addiction treatment. It also increases criminal penalties for "doctor shopping" if fraud is involved. It requires Medicaid coverage of all heroin treatment, including methadone and other opiate maintenance treatment, as well as all anti-overdose medications. It's the latter provision to which Rauner objects. "I support all of the above measures and applaud the multifaceted approach to combating this epidemic in Illinois. Unfortunately, the bill also includes provisions that will impose a very costly mandate on the State's Medicaid providers. I am returning the bill with a recommendation to address that concern," he said in a veto statement. "House Bill 1 mandates that fee-for-service and medical assistance Medicaid programs cover all forms of medication assisted treatment of alcohol or opioid dependence, and it removes utilization controls and prior authorization requirements," Rauner continued. "These changes would limit our ability to contain rising costs at a time when the State is facing unprecedented fiscal difficulties. Importantly, the State's Medicaid programs already cover multiple forms of medication necessary to treat alcohol and opioid dependence. But without adequate funding to support mandated coverage for all forms of treatment, regardless of cost, this change would add to the State's deficit." His recommendation is simply to delete the language requiring Medicaid coverage. Rep. Lang and other bill supporters aren't going for that. "There's a human cost to not doing it," Lang said. "People are addicted, people are sick, people are dying. You want to talk about the costs of providing methadone and Narcan to addicts, but you forget totally that if you cure them or they get off the stuff, there's a savings to the Medicaid system on a different line item, because they're no longer in emergency rooms, they're no longer a burden to law enforcement." 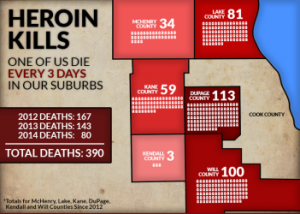 Heroin and opiate addiction is a serious problem in Illinois. The rate of drug overdose deaths has nearly doubled since 1999, and in the Chicago suburbs, people have been dying of drug overdoses at a rate of three per day since 2012. In the state as a whole, 633 people died of heroin overdoses last year, with nearly half (283) in Chicago. At the same time as the problem with heroin and prescription opioids has been deepening, the state's ability to provide treatment has been decreasing. According to a report this month from the Illinois Consortium on Drug Policy, the state's ranking for drug treatment capacity has fallen from 28th in the nation in 2009 to 47th this year. This as demand for heroin and opiate treatment statewide is increasing dramatically. In Chicago and the surrounding suburbs, 35% of drug treatment admissions are for heroin, more than twice the national average. The consortium's director and the study's lead author, Kathleen Kane-Willis, noted that Illinois is one of only a few states nationwide that doesn't allow Medicaid coverage of opiate maintenance treatment. "We're going to pay for not paying," she said. But bill supporters could also find the votes to override the veto. Rep. Lang says that is what's he going to try to do, and with a 114-0 vote in the House and a 46-6 vote in the Senate the first time around, he has plenty of supporters to ask. If that happens, Illinois will get the drug treatment it needs, and Rauner will still be able to maintain his fiscally conservative credentials. Alaska regulators want to ban marijuana social clubs, Chris Christie signs a bill allowing methadone in drug court programs, a new report says Illinois needs to do better on heroin treatment, Russia wants to censor Reddit, and more. Alaska Regulators Want to Ban Marijuana Social Clubs. The Marijuana Control Board has presented its final set of proposed regulations and is generating controversy with a provision that bans social clubs. The board argues that since Alaska law doesn't allow BYOB bars, it shouldn't allow BYOM clubs. California Governor Signs Law Targeting Illegal Pot Grows. Gov. Jerry Brown (D) last Friday signed a law that will impose steep fines on marijuana grows that cause environmental harm by dumping chemicals and wastewater, removing trees, and killing animals. The measure is Senate Bill 165. Last year, investigators found more than 135 dams or diversions in rivers and streams linked to marijuana cultivation, resulting in the theft of about five million gallons of water. California Governor Signs Bill to Increase Penalties for Residential Butane Hash Oil Manufacture. Gov. Brown also last Friday signed Senate Bill 212, which will increase penalties for people caught making butane hash oil. The process has been linked to numerous fires and explosions in the state. Massachusetts Advocates Protest Slow Pace of Medical Marijuana Implementation. Led by the Massachusetts Patient Advocacy Alliance, protestors held a vigil on the stops of the State House this week in memory of patients who had died before they could get access to medical marijuana and to protest the slow pace of implementation of the state's medical marijuana law. Three years after voters approved it, the state's first dispensary just opened. Click on the link for more. New Jersey Governor Signs Bill Allowing Medication Assisted Treatment in Drug Courts. Gov. Chris Christie (R) has signed into law Senate Bill 2381, which will allow people under the jurisdiction of the state's drug courts to complete their programs while using opiate-substitution medications, such as methadone and buprenorphine. Despite decades of evidence and the recommendations of treatment providers and even the National Association of Drug Court Professionals, most drug courts in the state required clients to quit medication-assisted treatment to complete the program. "Medication assisted treatment for drug court attendees, like all other clinical decisions made by a provider for their patient, is a critical component in a person's treatment and recovery plan. I thank the governor for his support of this legislation and his continued leadership and support of Drug Court programs," said Senator Joseph F. Vitale (D-Middlesex). Illinois Doesn't Adequately Fund Drug Treatment and Wants to Cut It Even More, New Report Says. A report released today by the Illinois Consortium on Drug Policy found that the state ranked 44th in the nation in state funded treatment admissions for heroin and that Gov. Bruce Rauner's (R) proposed budget would slash funding by another 61%. Chicago ERs rank first in the country in emergency room visits for heroin use, and Cook County is number one in the nation for arrestees who test positive for the drug. Click on the consortium link to read the report. Maine Governor Threatens to Call in National Guard to Fight Drugs. Tea Party Gov. Paul LePage (R) today reiterated his threat to call in the National Guard to fight the state's "drug epidemic" if legislators don't give him his way. The legislature has rejected his repeated demands that it deal with the drug issue primarily by hiring more agents at the Maine Drug Enforcement Agency, and while it did agree to fund six additional agents, two prosecutors, and two judges, that wasn't enough for LePage, who called it "chump change." It's not clear just what LePage what have the Guard do. Click on the link for much more. Australian Parliamentary Committee Approves Medical Marijuana. The Senate Legal and Constitutional Affairs Committee has recommended that a Green-sponsored medical marijuana bill be passed. The committee called for the bill to be amended to set up a medical marijuana regulatory agency. The bill has cross-party support in the parliament. Russia Threatens to Block Reddit Over Single Thread on Drugs. The Kremlin's increasingly busy Internet censor has warned that the popular website Reddit will be blocked unless it deletes a thread about growing marijuana plants. The censor said Reddit has so far failed to respond to demands that it delete the thread and asked readers to reach out to Reddit to tell its editors to check their emails. The censor has also blocked Wikipedia pages about how to smoke pot, online anonymity services, Pirate Bay, and made similar threats against YouTube. Only one Ohio marijuana legalization initiative is still trying to make the ballot this year -- and looks like it will -- South Dakota could try for the third time to approve medical marijuana, a harm reduction measure passes in North Carolina, and more. Ohio Legalization Initiative Backers Say They Have Enough Signatures to Qualify. Proponents of the ResponsibleOhio legalization initiative, which would divvy up commercial grows to only 10 investors, say they have collected enough signatures to qualify for the November 2015 ballot. The group's executive director, Ian James, said the group has collected more than 550,000 voter signatures. It needs 305,000 valid voter signatures to qualify, and it still has three more weeks of petitioning to go. The group said it also conducted a robust voter registration campaign along with its signature drive. 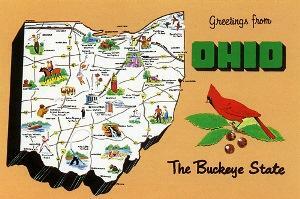 Two Ohio Legalization Initiatives Give Up on 2015. The Better for Ohio and Ohio Rights Group legalization initiatives are dead for this year after organizers for both groups conceded they will not have the required number of valid voter signatures by July 1 to qualify for the November 2015 ballot. Both groups will continue to gather signatures for 2016. South Dakota Medical Marijuana Initiative Filed. A state activist has filed the explanation for a medical marijuana initiative with the state attorney general's office. Once it is reviewed and approved, proponents will then have 180 days to come up with 13,871 valid voter signatures to qualify for the November 2016 ballot. Medical marijuana initiatives have twice been defeated in the state. Maybe the third time will be the charm. New York Legislature Approves Bill to Encourage Medication-Assisted Treatment for Drug Court Participants. The state Senate Tuesday approved Senate Bill 4239-B, which bars drug courts from removing drug court participants for using drugs like methadone and buprenorphine as part of a drug treatment program. The measure has already passed the Assembly. Advocates are now pressing Gov. Cuomo (D) to sign the bill into law. North Carolina Legislature Passes Bill Strengthening 911 Good Samaritan Law. The state legislature has approved Senate Bill 154, which strengthens the state's 911 Good Samaritan law by extending protections from arrest to include not revoking someone's probation or parole, not charging underage victims of alcohol overdoses with a crime, and by clarifying that pharmacists are permitted to dispense naloxone with a physician's standing order.